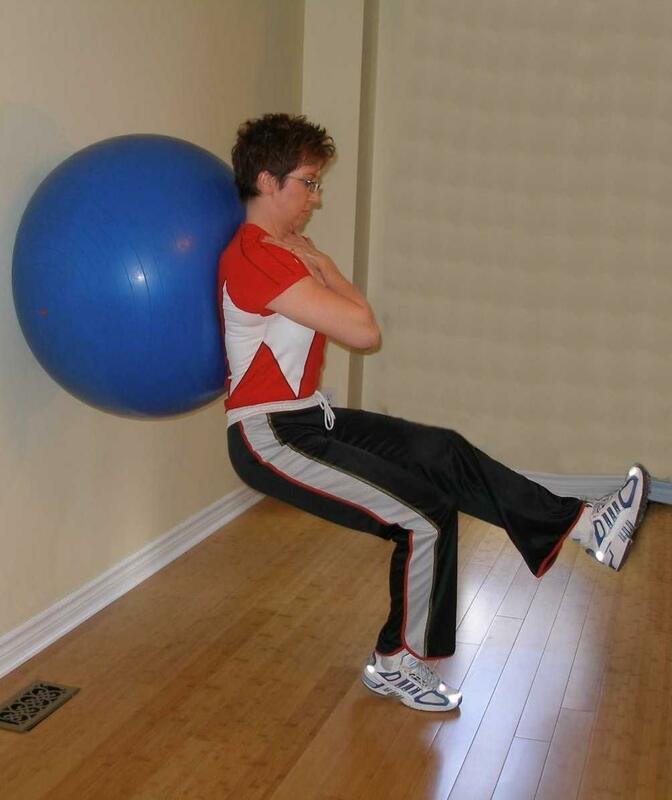 Place the exercise ball against the wall at mid back height. 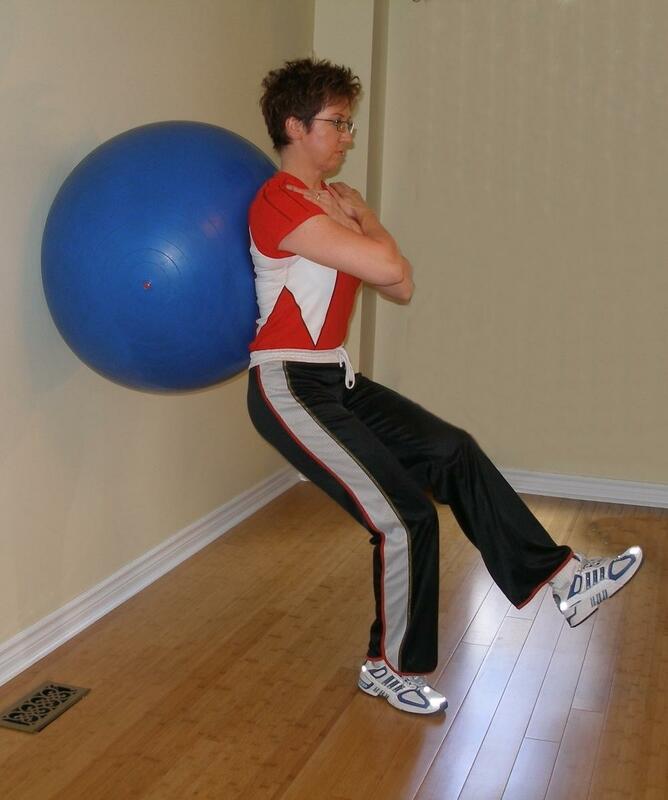 Stabilize the ball between your back and the wall. When moving back up don't allow your knees to fully straighten or hyperextend.